Dolce & Gabbana Fall Winter 2018-19 Milan. 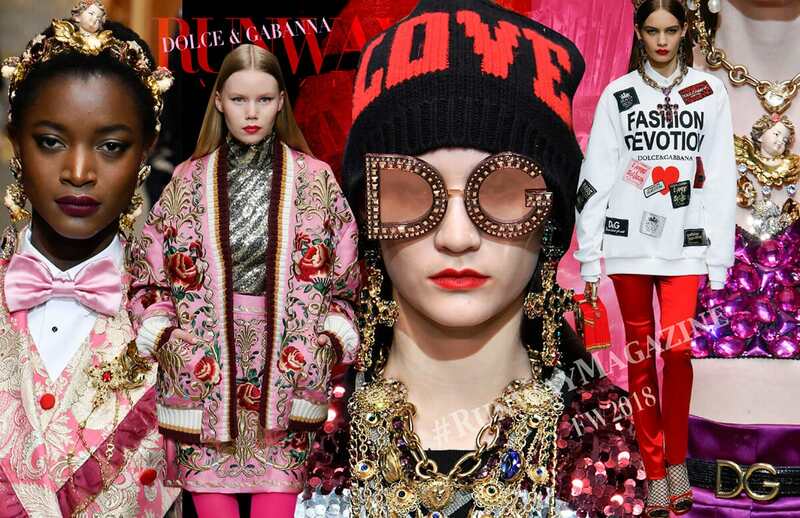 Dolce & Gabbana blow up minds ones again with new collection and the show. Extravaganza on the face of Mona Lisa made even Leonardo surprised. Yes, they are bringing everything we love from Italy : flowers, painters, religious symbols. 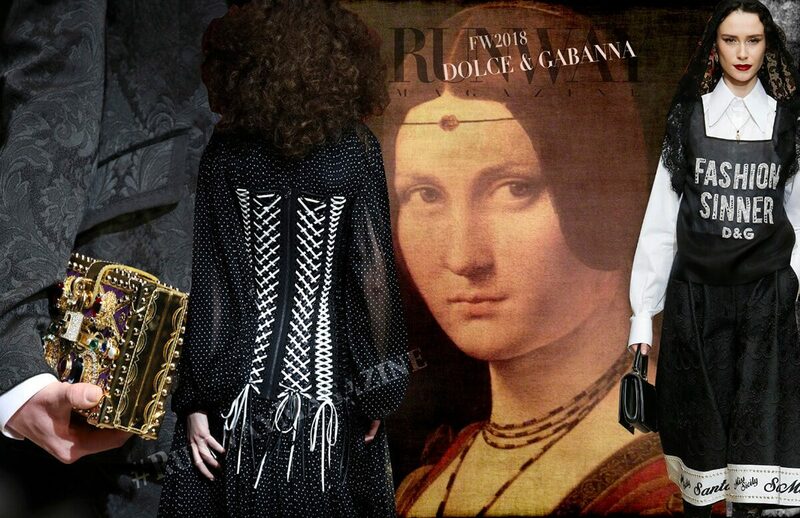 Dolce & Gabbana isn’t a religion, but could become one. The riches of treasures can be seen and not told in details : sun glasses made as a part of interior decor on the face of beautiful woman, adoring her beauty for eternity. 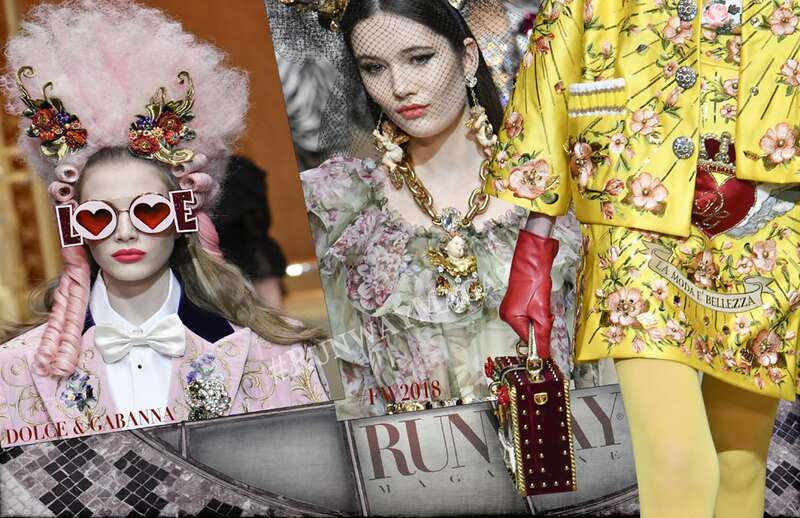 There could be millions cultural associations for this collection of Dolce & Gabbana with interior decor of church, with royal garments, or… royal bombers. There could be million paraphrases : “She, who keeps the keys from heaven rules the world” . And she really does. She’s Saint by Domenico Dolce and Stefano Gabbana. And She’s adored by cherubs and million hearts. 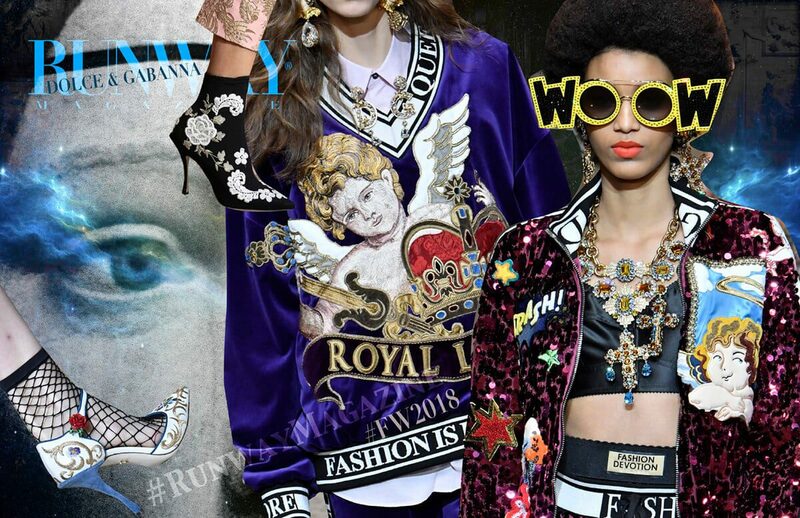 As royal as it could seems, for this season Dolce & Gabbana made a comix, a religious comix, and told an amazing story about “fashion and beauty” with “woow”, “boom” and “crash” stickers on royal bombers and ti-shirts, shown as secret thoughts of cherubs. Each piece of this collection is a real art piece, in fabrics, details, bags as jewelry boxes, which deserves to be framed…. Indeed it is so beautiful that it should be illegal. And it is actually sin to be iconicly great like masterpiece. 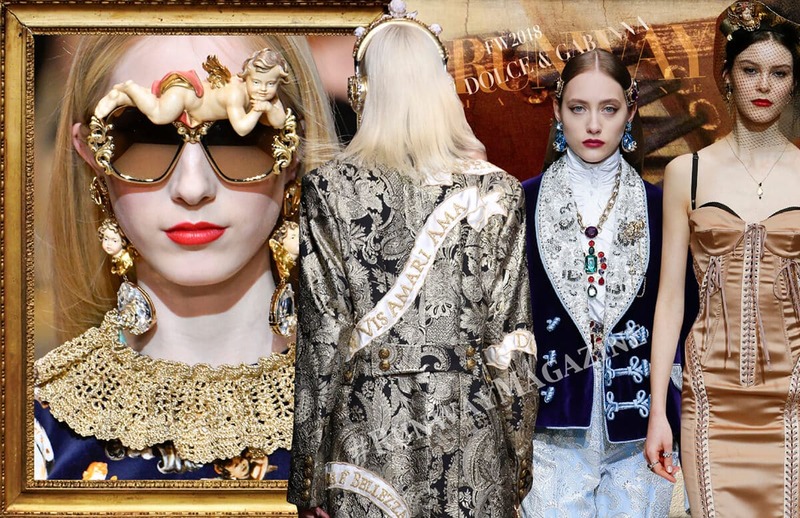 “Fashion sinners” of Dolce & Gabbana paraded together with saints in royal ti-shirts. 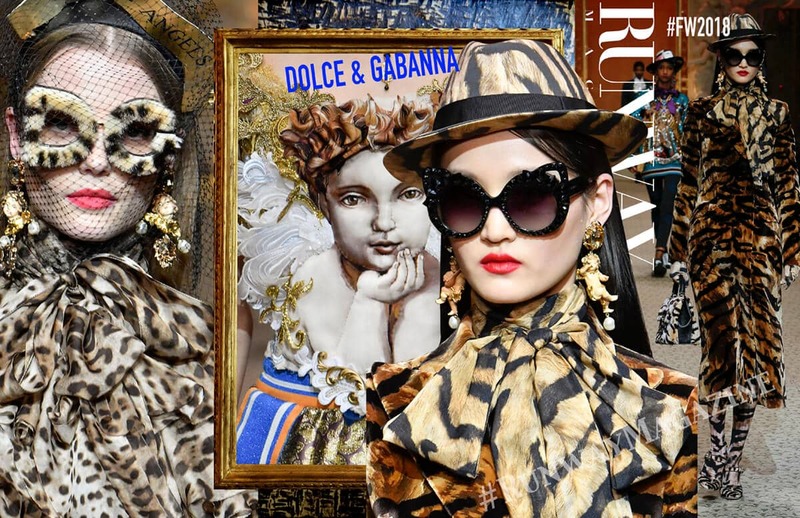 “Angels and Sinners” is a fairy-tale story in colorful comic book “written” by Dolce & Gabbana for the next Fall. And we LOVE this story!